It was a fantastic weekend of Lawn Bowls as the BC Provincial Championships were held to determine this years Champions. This year the format would change back to Round Robin play allowing players to play a few games throughout to get ready for the knockout rounds. With some great action being played and favourites getting knocked out along the way, it was Gigi Chan in the Women’s event who would beach Rainbow Lung in the finals to take the 2018 Championships. 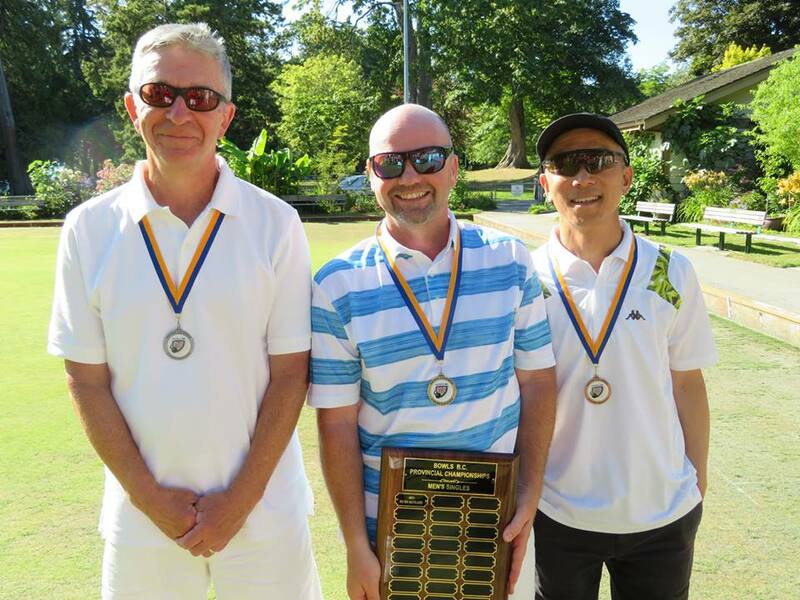 On the Men’s side it was relative newcomer Jeff Birrell who would step out of his son Trevor’s shadow, to get over the line and win the Men’s final in a thrilling match against West Vancouver’s Jim Duholke. All of the winners below will have the opportunity to represent British Columbia at the Canadian Championships in Regina, SK from August 27-29th, 2018. This year the Singles has been added after the Canadian Major Championships in a stand alone event. Congratulations once again to all the competitors and thank you to all the volunteers that worked hard to make this event happen for everyone.